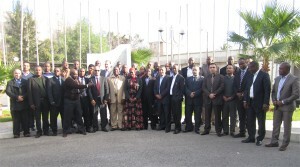 The African Centre for the Study and Research on terrorism (ACSRT), in cooperation with the German Police, BKA organized a 8 day training course on ‘Operational Intelligence Analysis’ at its Headquarters in Algiers from 9 to 17 December 2014. 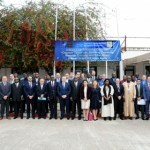 The training is the continuation of the efforts aimed at giving accrued content to the recommendations emanated from the ACSRT counter terrorism sensitization Missions to Member States, and the decisions of the 2nd Meeting of the Heads of Intelligence and Security Services of Sahelo-Saharan States held in Abidjanand further reiterated by the N’djamena meeting of 10 and 11 September 2013. In these two meetings, the ACSRT was urged to implement specific capacity building activities in the area of prevention and combating of terrorism for the benefit of AU Member States. 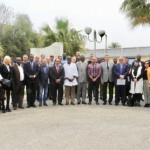 The workshop brought together 32 police and intelligence officers from 14 African countries, namely: Algeria, Benin, Chad, Cote d’Ivore, Mali, Mauritania, Niger, Nigeria, Senegal, Sahrawi Arab Democratic Republic, Tunisia, Kenya, Zimbabwe and Lesotho. The training workshop was aimed at enhancing the capacity of African intelligence and police officers to process data and analyze information. The hands-on practical approach methodology applied in the training provided the trainees with the ability to effectively transform raw data and information into actionable operational intelligence in their daily professional activity. The training workshop was very successful. Participants indicated that it enhanced their capacity to gather data and assess information. 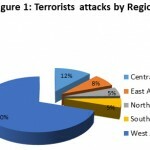 It further improved their understanding of intelligence analysis theory . The training ended with the awarding of Certificates to the trainees. This is the fourth workshop of its kind organized in cooperation with and support of BKA and funded by the German government. The first and second workshops were held at the ACSRT headquarters from 17 to 25 April 2012 and from 23 September to 1st October 2013 respectively. The third workshop took place in Bamako, Mali from 4 to 12 November 2013. The African Centre for the Study and Research on terrorism (ACSRT) and the German Police will continue with this effort and work hand in hand to further enhance African Union Member States capacity to prevent and combat terrorism. 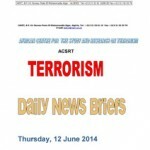 the ACSRT commends the German Government for its continued involvement in the efforts on to prevent terrorism on the African continent by enhancing the capacity of the African police, intelligence and other law enforcement agencies to monitor intercept and disrupt terrorist planning, terrorist networks and terrorist activities.